I don’t know if the AI at this point of the game was just dumb or wasn’t program to consider Mimikyu’s ability since you normally can’t get it until the next island but this happened without me even trying to. 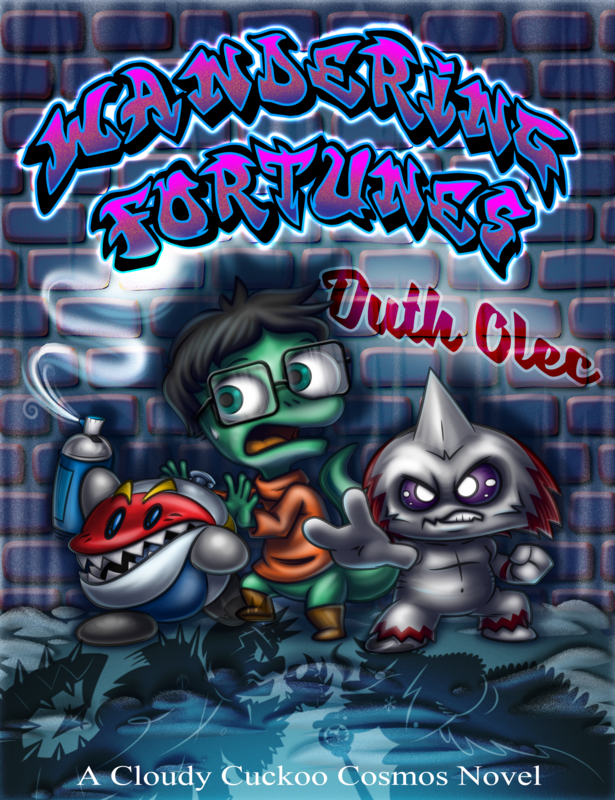 Wandering Fortunes chapter 6: Friends of a Feather, and the story cover! Drawn by my talented friend Daimyo-Koikoi, we have our protagonists here, plus a couple shadows… And, of course, Top is being mischievous. I can finally replace that drawing of Top I’d been using as a placeholder. Also as a reminder, my Patreon has chapters go up early for patrons. Chapter 7 will go up in mid-June. They even got to see the cover early!